Financial planning should start when people are young. A good financial plan can help you to work towards goals, invest more wisely and retire comfortably. Many young people make financial mistakes, amassing debt and crippling their financial futures. If you are young, there are several pieces of advice you should follow in order to secure your financial future. Doing so can help you as you grow older to be much more comfortable, allowing you to concentrate on enjoying your life. A credit card can be a good way for you to build your credit score over time. Credit scores increase as your credit accounts are open longer. The problem that many people run into with credit cards is that they end up maxing them out and then paying only the monthly minimum payments. Instead, you should make purchases with your credit card and then pay them in full each month. This will establish a good record while not burying you in credit card debt over time. Many young people fail to save money for emergencies that may occur. Saving up a financial cushion is important. Your goal should be to save about six months worth of your income. This should be a separate account from your retirement. If an emergency happens, you will then have the resources to be able to take care of it and to survive for several months. A major mistake many young people make is forgoing health insurance. You might think that it is unlikely you will need it. If you are injured or suffer a serious illness, however, you may be overwhelmed with medical debt. Medical debt is a primary reason that people have to file bankruptcy. You can avoid this by purchasing health insurance and making certain the insurance you select is a policy for which the deductible and copays will be affordable. If your work offers a 401(k) matching program, take advantage of it. You should contribute the maximum amount up to the matching point each month. 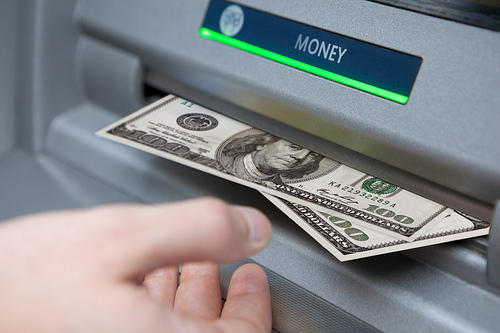 Avoid withdrawing funds from it or borrowing against it. This can help to make certain you will be able to retire comfortably later on in your life. One of the best things you can do for yourself is to learn how to invest your money. Many people are intimidated by investing in the stock market. By learning how to invest, you can choose from a variety of funds to diversify your portfolio. Many young people are buried in student loan debt. Instead, try working while you are in college to pay for your education as you go. Take advantage of grants and scholarships by applying for them. If you must borrow, borrow only the amount you need to finance the cost of your classes. The importance of making smart financial decisions beginning when you are young cannot be stressed enough. Financial advice for the young is so important that even billionaires provide it to young people, as shown by an article with Wesley Edens, the owner of the Bucks. By starting now, you can make sure you have a terrific financial future ahead for you to enjoy. What is a 401(k)? It seems that it would be a good investment to make. It seems like these tips for financial planning could be really useful. I loved your tip to save for an emergency. Having money in case something happens is a great thing, even it means taking it away from your check to save once a month. It may also be a good idea to put the money in an account that is easy to access but accrues interest well.